Prostamol constantly advertised on television. Some doctors believe that it can only be an aid in the treatment of BPH, while others are absolutely opposite. Let us explain in detail when Prostamol used as valid and whether it is really as good as advertised. 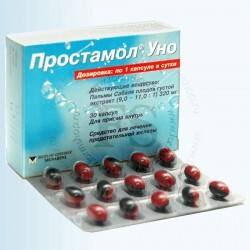 This medicine is constantly advertised onTV, promising rapid cure of men's diseases. Let us explain in detail when Prostamol used as valid and whether it is really as good as advertised. Prostamol-Uno used for prostate adenoma. Adenoma - a benign overgrowth of the prostate tissue. Expanding, prostate squeezes the urethra, and the person becomes difficult to urinate: urine flows sluggishly, intermittently, to empty bladder, Have to strain the abdominal muscles. Prostamol-Uno used for stages 1-2 benign prostatic hyperplasia. Symptoms of stage 1: increased frequency of urination, urine easing pressure. Symptoms of stage 2: the bladder is no longer cope, push the urine is very difficult, and some urine always remains in the bladder, the bladder walls begin to stretch. Prostamol-Uno aimed at the removal of adenomas symptoms. Contained in its composition of plant extract palmetto (Serenoa repens or Sabalis serrulata) has anti-inflammatory action, helps to reduce swelling of the prostate gland. 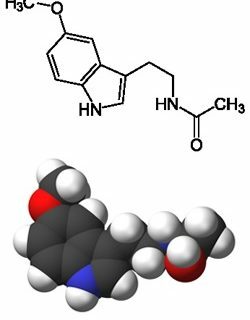 The mechanism of action of the drug is not yet completely understood, but it is known that Prostamol inhibits the growth of prostate cancer. This issue is highly controversial. Some doctors believe that Prostamol can only be an aid in the treatment of BPH, while others argue that they were able to achieve good results in the treatment of only one Prostamol. But be that as it may, in order to achieve the effect Prostamol need to take a very long time. The first course of treatment Prostamol last month, after a break in taking the medicine, your doctor may prescribe one or more repeat courses. Doctors say that Prostamol helps not all (up to 50% of patients reported improvement after prolonged treatment Prostamol). But if you reach a stable result (increased urination rate declined or disappeared altogether residual urine), reception Prostamol stop. Sometimes it happens that after the abolition of Prostamol adenoma symptoms reappear, and then the doctor recommends the patient to move to a permanent reception Prostamol. As a major component of Prostamol is a plant extract, long-term use of the drug does not cause serious damage to the liver and kidneys. Do not forget that Prostamol only reduces the appearance of adenomas without curing the disease itself. But on the other hand - if the normalized urination, nighttime urination urgency is gone, do not have to tense when urinating - why look for another drug? If Prostamol does not help, your doctor will choose youother medicine. 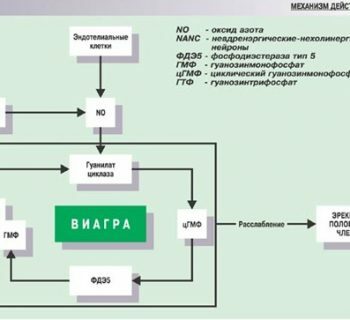 The most effective in the treatment of benign prostatic hyperplasia such as the little-known drugs, tamsulosin, terazosin, doxazosin, finasteride, dutasteride. If the first treatment given Prostamolpositive effect, followed by a reception and has no effect - most likely, the patient caught a fake drug. Alas, to insure against counterfeiting very difficult. Our website recommends: Each time you purchase medication pay attention to the integrity of the packaging, the presence of security holograms. If the package can be opened without damaging - did not hesitate to do it right at the pharmacy to make sure that there is a number of capsules as directed on box. Advertising promises urinary recovery when receiving Prostamol. and at the reception Gentos. What is the difference of these drugs? The fact that the drug is not Gentos,it's just a biologically active food supplement. Efficiency Gentos nobody evaluated and tested it in a clinical setting. But Prostamol - a real cure for Authenticated in urology clinics. Prostaplant - almost complete analog Prostamol. In composition Prostaplant differs only in the presence of nettle root extract. The rest - the mechanism of action, the effect (increase in urinary flow rate, reducing swelling of the prostate gland), exactly the same as that of Prostamol. Nettle extract is designed to enhance the main action of the extract (Serenoa Repens), but many patients say that though Prostamol operates more efficiently. Most often, drinking Prostamol administered oncedaily after meals. Capsules must drink a small amount of water to avoid the pain in the stomach. Depending on severity of the disease Prostamol doctor may prescribe one time per day to 160 mg, or 1 time per day for 320mg - it is dependent on how well the patient moves and what drug treatment efficacy. If, after receiving Prostamol appears heartburn - it is regarded as a side effect, and, most likely, the doctor will pick you another tool for the treatment of an adenoma. If you have frequent urge started onurination, but other symptoms yet, you can take Prostamol - get a kind of prevention of adenoma. Nevertheless, our site encourages you to consult your doctor if you experience problems with urination. After all, the difficulty of outflow of urine can be caused not only by BPH, and malignant (cancerous) prostate tumor.